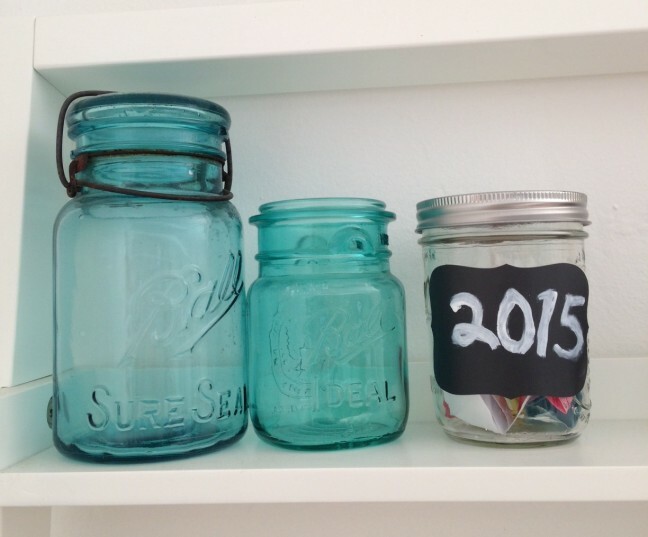 A new year means a fresh start and a clean slate for opportunities and family fun. 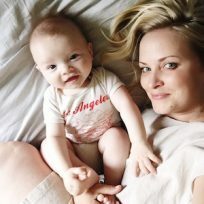 I like the idea of new year’s traditions, as opposed to resolutions, so now that our children are old enough (well, one is anyway) to understand and participate I created a fun little DIY that will keep on giving all year long. 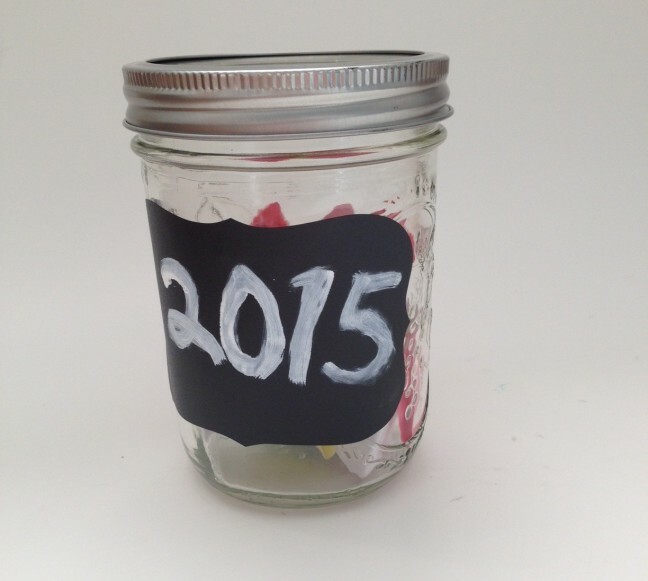 We started a New Year Adventure Jar tradition. On New Year’s Eve or day (whichever you prefer) you sit as a family and think of twelve adventures you’d like to have that year. It can be something as little as trying a new restaurant in your neighborhood for brunch or as big as traveling abroad. 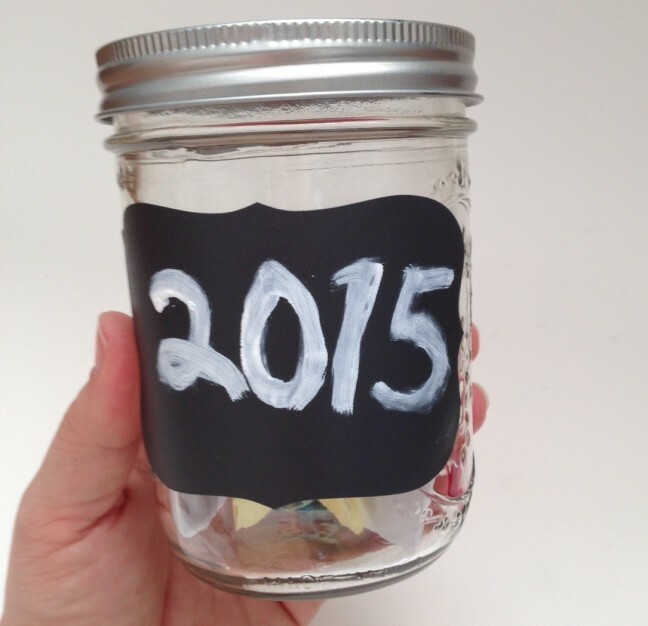 Then you put them in your 2015 adventure jar, and choose one at the start of each month to do. Here’s how you can make your own. Step 1: Whatever your adventure goals are, pick twelve that you believe you can or really want to accomplish. Step 2: Cut up twelve strips of paper—three each of four different colors. Step 3: Assign a color of paper to a specific season of the year (yellow is summer, blue is winter, etc.). Step 4: Write a goal that you want to achieve on one of the strips of paper. If you know you want to pick “go skiing as a family,” choose a color of paper that works for winter. If your goal can happen any time of year, choose any color you’d like. 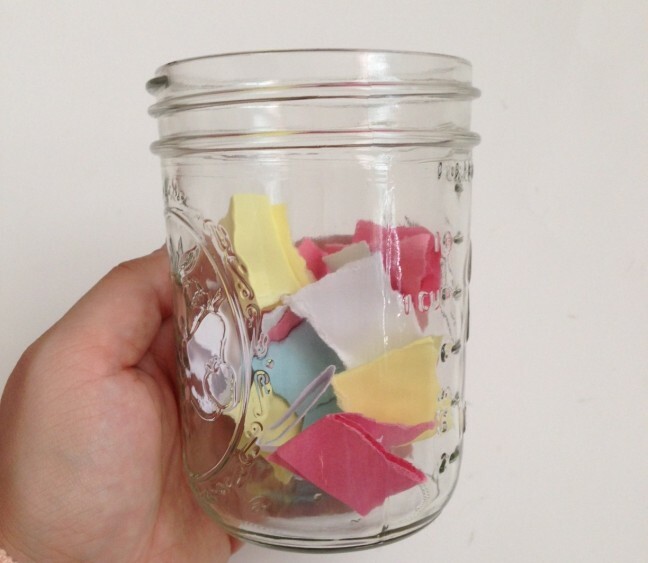 Step 5: Once you have written your twelve goals on twelve strips of paper, fold them up and drop them in your jar. 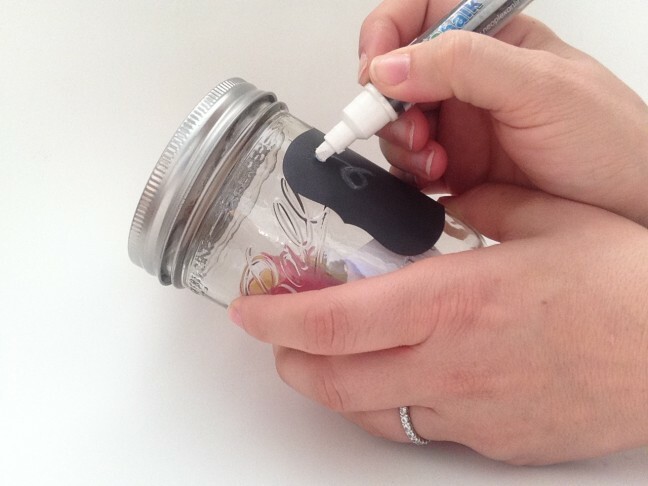 Step 6: Put the lid on the jar and then add your chalkboard label. Step 7: Write whatever you’d like on your label. My writing isn’t the best, so I just wrote “2015.” If you have pretty penmanship, you might want to get more creative. 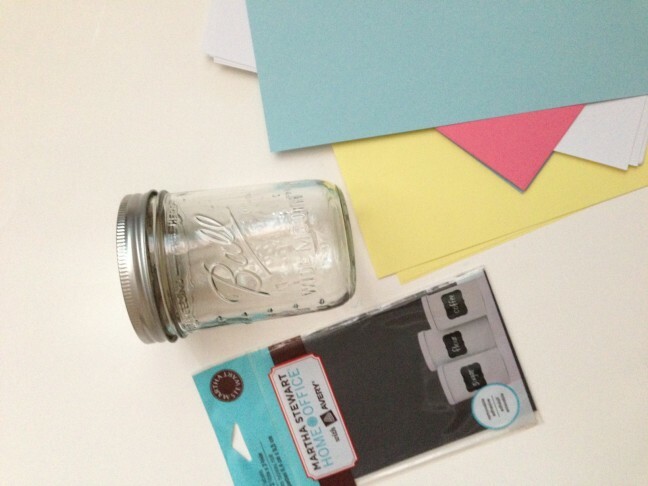 Step 8: Put your adventure jar on a shelf or in a spot where you can and will see it so you don’t forget to choose an adventure each month. Step 9: Have a year of fun family adventures and repeat the next year! I like the idea of letting each family member choose at least one idea that they want, no matter what it is (unless it is totally unfeasible). Like if my son said “go to Legoland” (which we have never done) I would do everything I could to get him to Legoland that year. If he says something we do every weekend, I would still include it, because clearly he thinks of that activity as an adventure that he would like to repeat in the new year. What is on your 2015 family adventure list?